Begin To Write Good Quality Content From The beginning. 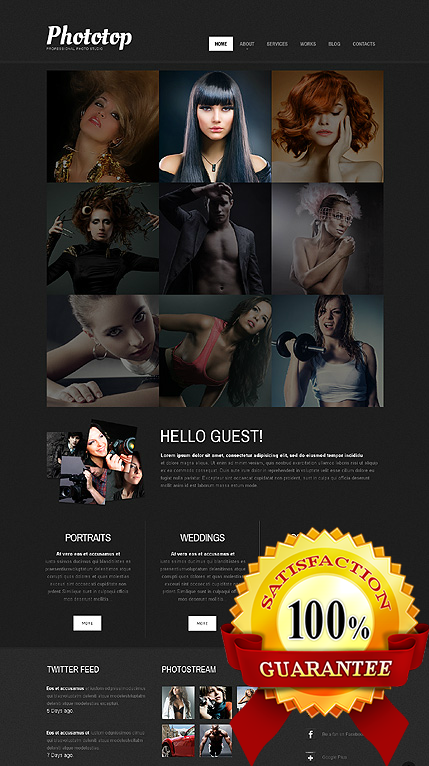 Short description:A half of the main page is actually a solid list of photography projects. This feature would definitely impress a visitor and make your photography studio look attractive. 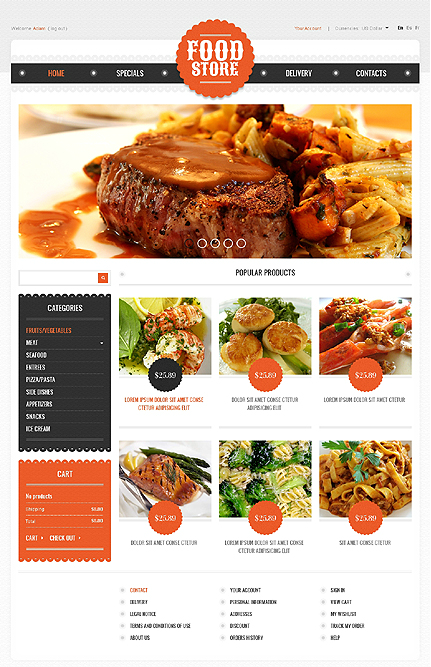 Short description:If you sell food, this theme will touch your heart along with many hearts of your hungry customers. The mouthwatering meals are so exquisitely presented in a slider and three column structure that it is impossible to leave this store without purchase. Orange tags and design elements also work for your marketing purposes. Short description:The buyer will never abandon a store like this without a purchase. Firstly, the attention is conquered by the slider showing favorite artists. 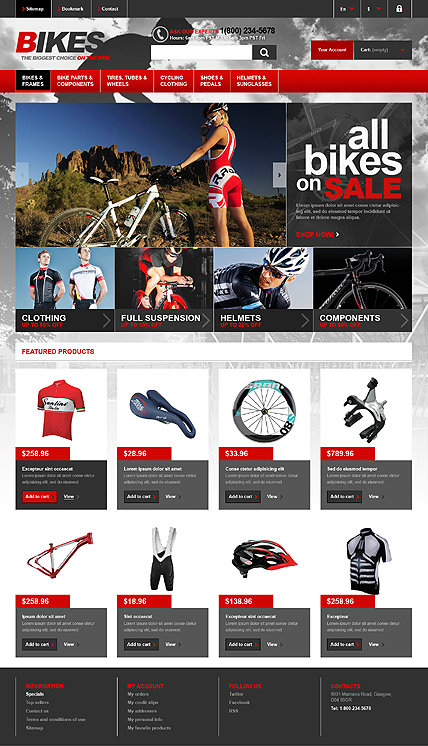 Five column structure containing top sellers and featured products exploits every pixel of the content area. Lilac accents on black layout take control over customer’s attention. Short description:What can single out your store among the other? Something catching in the design! Shapes of buttons and elements are cool and unusual. Heading typography is bold and attractive. Slider and banners are great marketing tools of this store. 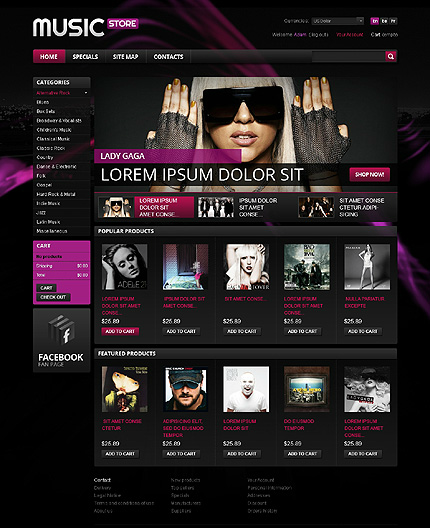 Featured products are placed in three columns. 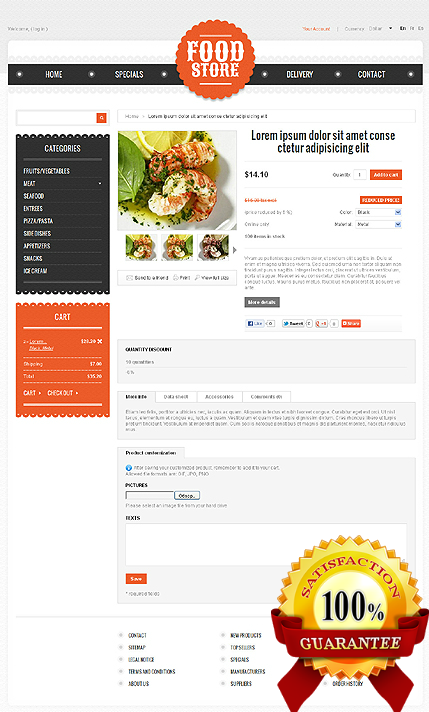 Cart and Specials sections are in the right sidebar. 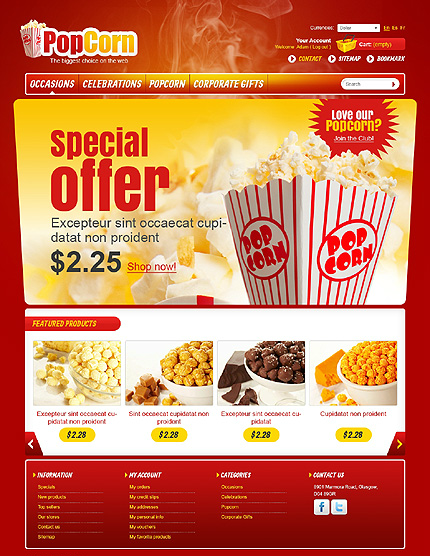 Short description:Everybody likes popcorn for its crunchy taste and positive associations with thrilling shows, holiday, entertainment and fun. 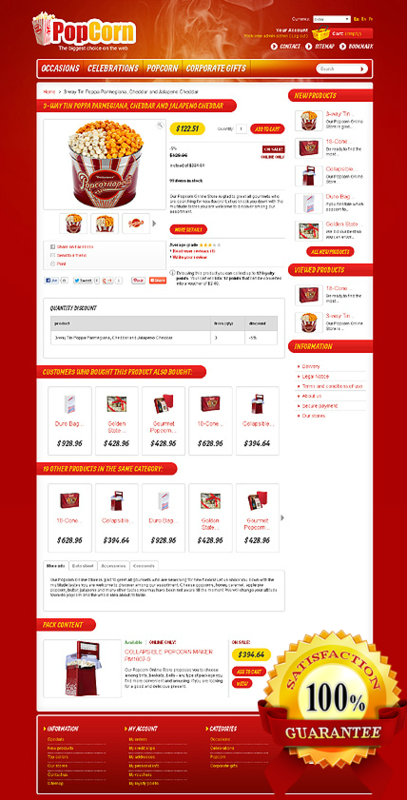 Our hot red and yellow template was created in similar manner. Large banner advertising special offer looks very appetizing. 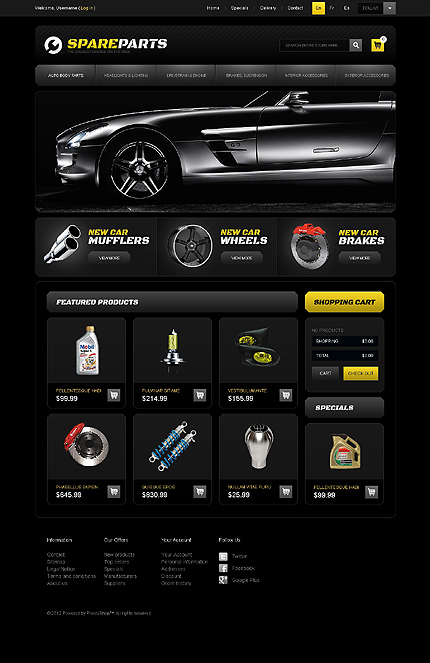 Featured products are demonstrated in slider, which makes their viewing more interesting. Footer is framed and thoroughly structured. 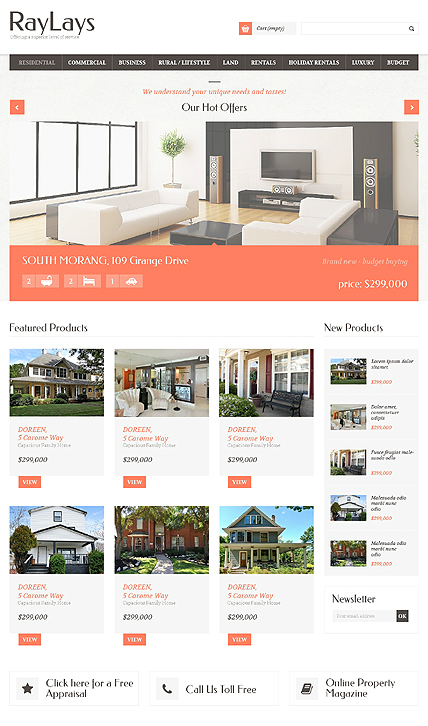 Short description:This bold, full of energy design seamlessly blends with website idea. The elements are placed against blurred black and white biker’s image. Slider shows cyclists overcoming the extreme routs. Banners advertise discounted products. Red menu and price tags catch visitor’s eyes. 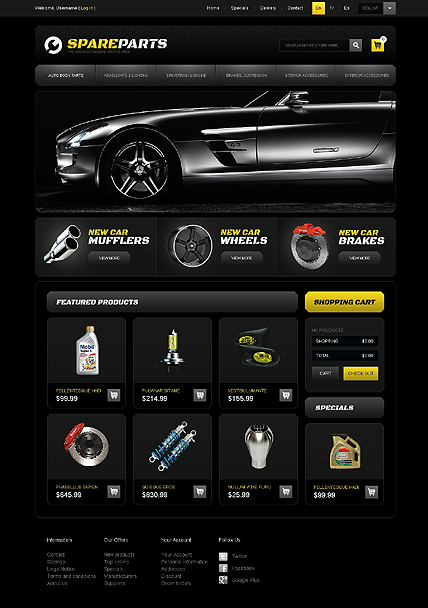 Products in content area are presented in four columns. 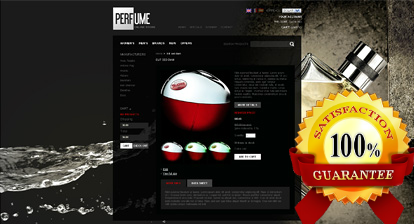 They are supplied with hover effect. 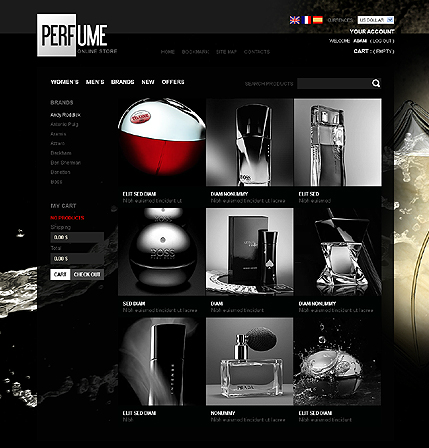 Short description: Glossy dark theme with fancy background clearly reflects the main idea that stands behind any Perfume store. This idea is simple – visualize the quality of your products in your design and you’ll have more benefits. 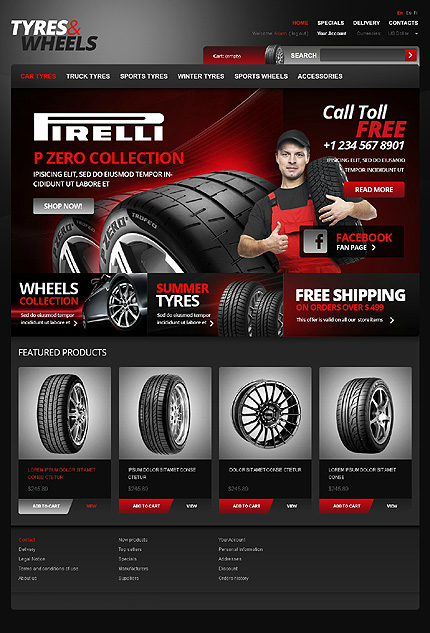 Short description: If you decided to retail your wheels and tyres online, take your chance! It will be pretty easy to take advantage from your online store with such apt color solution, assorted imagery, powerful advertizing banners and excellent product presentation.